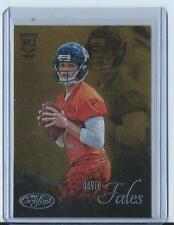 Player - David Fales (Rookie Card). Year - 2014. Card # - 124. Team - Chicago Bears. 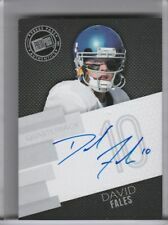 Sale Includes - (1) Football Card. Sport - NFL Football. Card Print Run - Unknown. Type - Base. WE WILL NOTE ANY FLAWS OR DEFECTS THAT WE THINK ARE PERTINENT. WE PROVIDE A CLEAR SCAN SO YOU CAN JUDGE CONDITION FOR YOURSELF. YOU WILL RECEIVE ACTUAL CARD SHOWN IN SCAN & DESCRIBED IN THE TITLE. 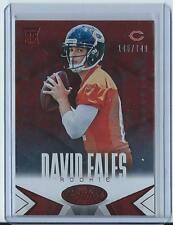 2014 Certified David Fales Rookie Retro #RR15 (Chicago Bears) Look!!! Hot!! 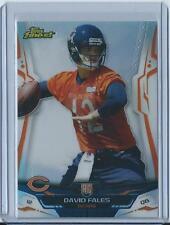 2014 Topps Finest David Fales Refractor Rookie!!! (Bears) #120 Hot!!! Look!! !